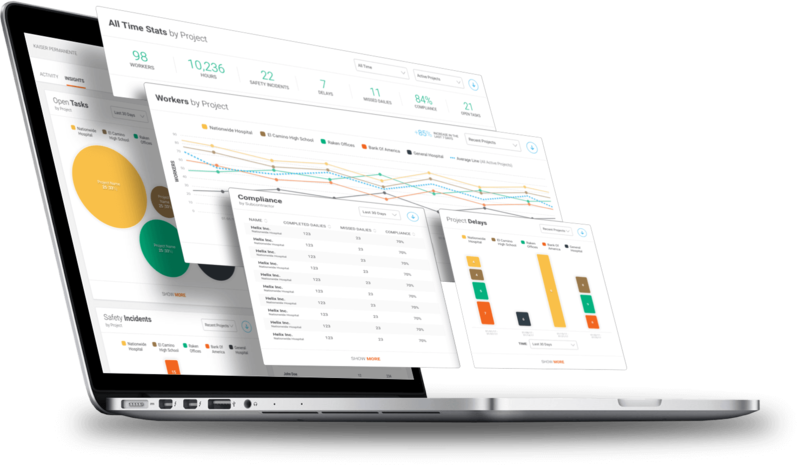 Field workflows and actionable insights with our construction field management software and app. 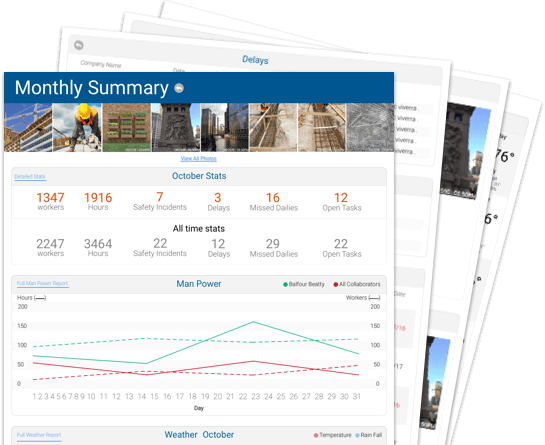 Everything you need to efficiency track and manage your jobsite. 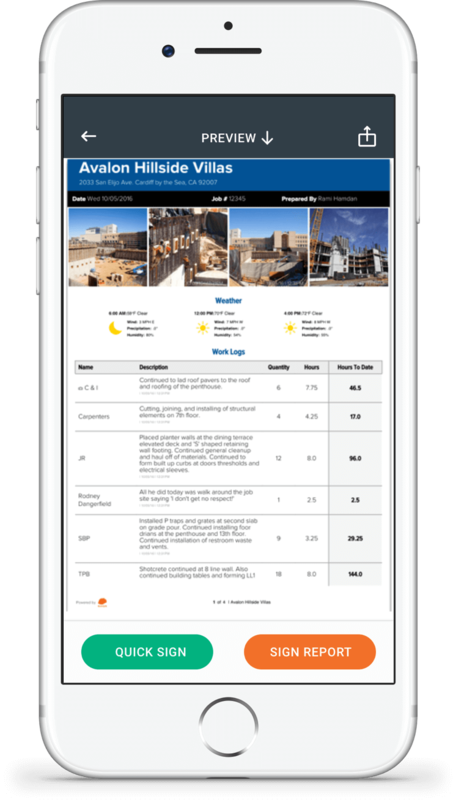 Construction field management software and app designed so subcontractors and superintendents can create a branded, professional report as they walk the site. The Super Daily then gathers reports from every subcontractor and automatically collates them. 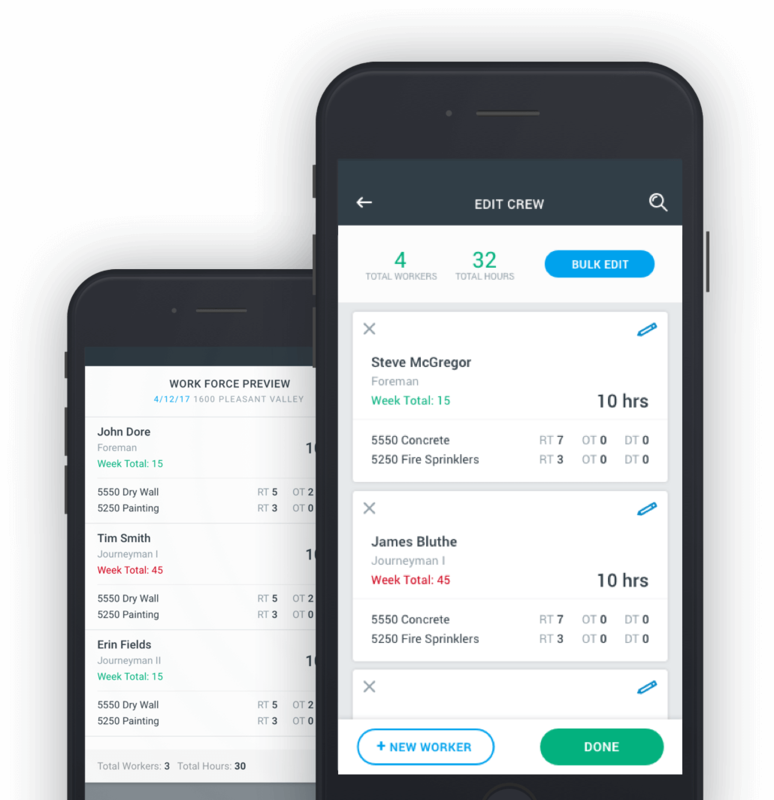 Raken Time Cards are the easiest way to track hours in the field, all while simplifying payroll processing for the office. Finally, you can lose the construction timeclock. Events captured from the field are turned into a real-time activity feed, while construction project data is turned into actionable charts and graphs for side-by-side comparisons in historical context. 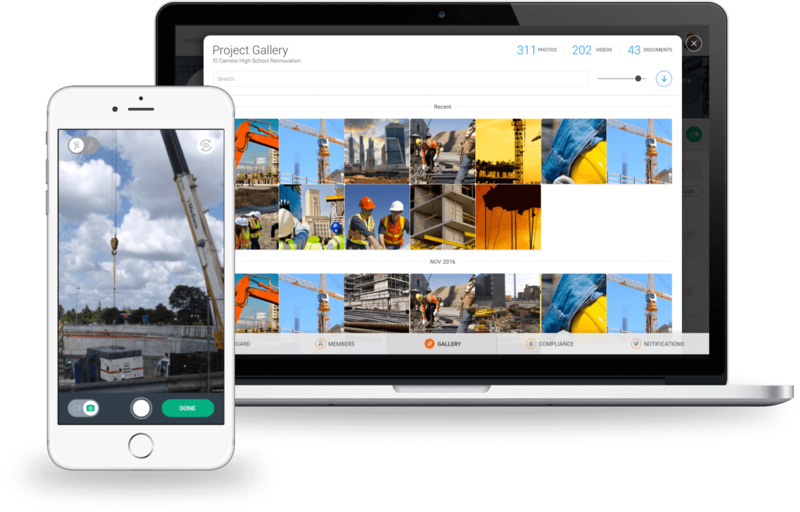 Use the Raken construction project app to take photos and video with a single tap as you walk the site, Raken automatically organizes site images and video by date and project, making them easier to find in the future. Assign tasks to any user, customize due date, add photos and descriptions and watch your tasks automatically sync across your teams and devices. 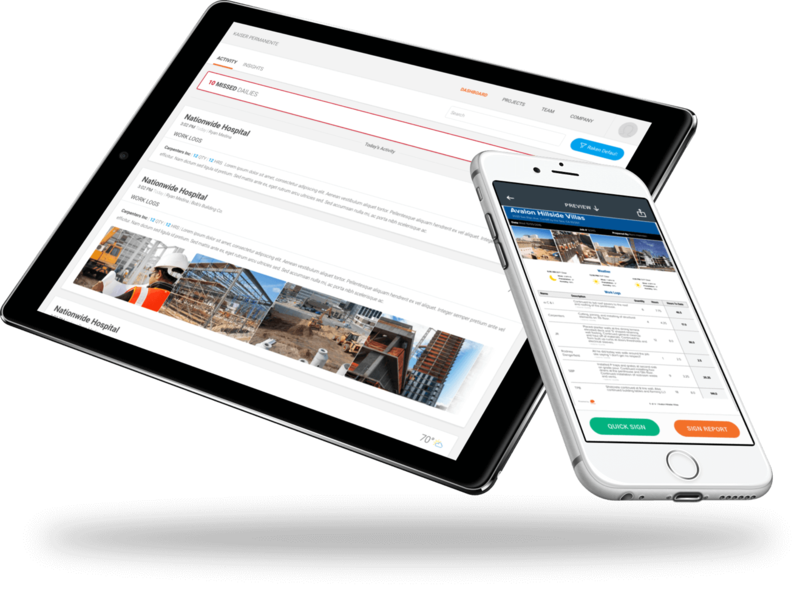 Owners and general contractors get weekly and monthly summaries delivered to their inbox, complete with links to daily construction reports for even more information. 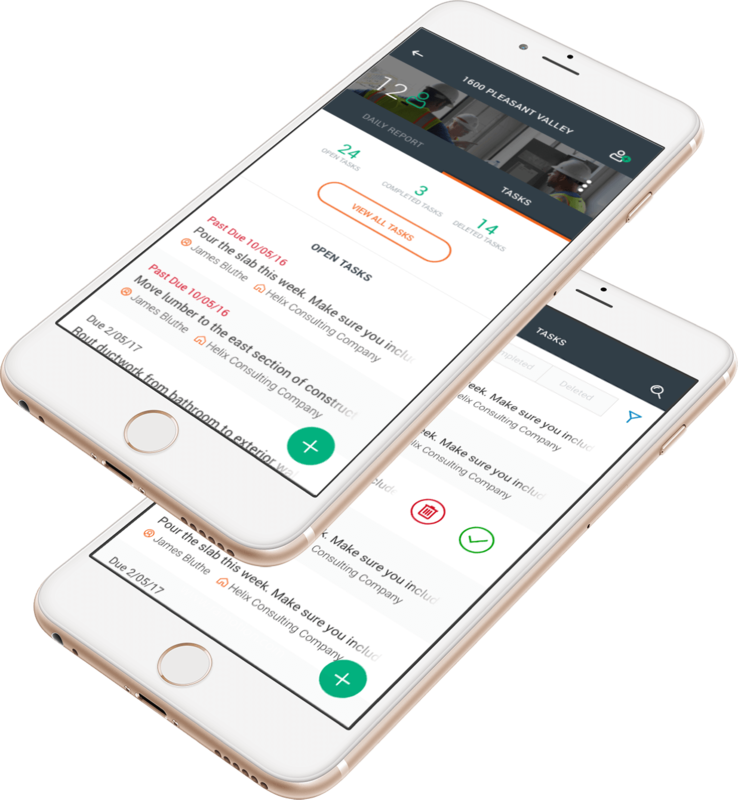 This app has made a big impact on our company. We have tried to get our field Superintendents to stop using the “old green book” and try a digital version. This app is easy to use and saves our guys several hours per week by not having a re-enter the same data everyday. The daily survey is a great option now that you can customize it. I usually don't write reviews. I recently started a new job, with lots of paperworks & job tracking. I was overwhelmed at first. I found Raken & tried free version. After a week upgraded & have been satisfied since. Thank you Raken. Todd. I’used a few apps in the past as well as being an “old timer” in the construction industry. This is an amazing tool, for the super using it. You can do your daily reports as your day moves forward, the pm who tracks progress and problems, and estimating to see where they can improve their negotiating and job costing skills. The app is easy to go to and get to where you want to be. It takes the routine out of routine weather entries out of your time and puts it out in a clean pdf format. Notes, easy photo attachments it’s great. I have been using this app since I discovered it four years ago. As with every good app they have been very receptive to input from construction individuals and implementing them to tweak it even better. For my money I don’t know a better daily app out there and I tried a few and always gone back to Raken. It is obviously designed with construction professional’s input and fills a huge gap in my efforts to spend more time in the field than the office. I am sold! Keep up the good work! This rakenapp not only is way above the rest, the customer service is outstanding. The developer even called me to make sure I was optimizing its potential. Very intuitive. I’ve ran others that were inferior in every way. I am a field guy and these guys make me look like I have an office staff. It makes me look smarter than I am. I’ve only been running it for five days and I have had three compliments already. Do try it and you will see what I mean. Raken is easy to use with loads of great features. They re constantly trying to improve their product. Emma Rose was very friendly, knowledgeable, and engaging in a brief Raken teaching seminar in Texas recently. Thank you.